Serge Gojkovich, former vice president of marketing at Grindr and Blendr, today announced his company departure and unveils the launch of his new agency, ZaPamti (pronounced "za-pom-tee"), providing a full range of services specifically tailored to startup apps and companies looking to tap into the mobile market. Utilizing a robust network of more than 50 established copywriters, designers, and developers, ZaPamti offers marketing, creative, public relations, media buying, social media and technical resources designed to introduce new and old brands to the mobile space. 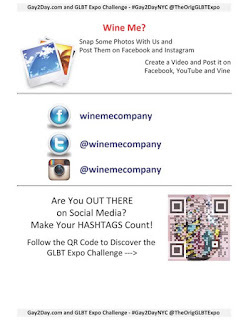 for Commenting, Liking, Tweeting and Sharing! Leverage the Power of Individuals, their Interactions and their Relationships! 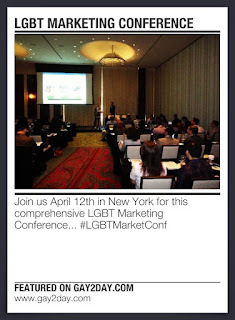 The LGBT Influencer as a MEDIA POWER of ONE! 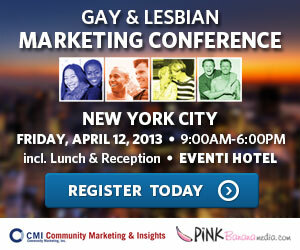 The title of our presentation at the 6th Annual LGBT Marketing Conference in New York on April 12th will be Social Media, the LGBT Community and the Role of Influencers in 2013. As social media continues to evolve and grow up, it is becoming more and more ingrained into our daily lives, with Facebook being the dominant social media website most folks spend the most time with. We will cover some of the more advanced topics in social media marketing today, including the role social media plays in our online search results with Google and Bing. We’ll also spend more time discussing the evolution of LinkedIn and how their advances in social media technology have really set the bar higher in terms of where folks go online to learn and discover topics based on their field of interest in the business-to-business world.